French Rassal clay - Site de lesargilesdusoleileng ! 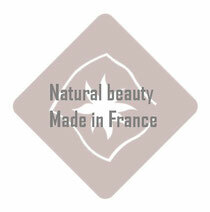 RASSAL is a French clay renowned for its outstanding ability to wash, detoxify, nourish and condition the skin and hair. Rassal replaces soap, shampoo, conditioner & cleanser. It suits all skin and hair types. It is soap free and fragrance free and will not foam or lather during use. RASSAL is pure and not washed, it releases a high concentration of essential minerals and trace elements into the dermis, encouraging better skin health and reduced signs of aging. Follicle health and hair quality are also improved. When Rassal clay is mixed with water, the clay particles swell up to create a paste that has an enormous capacity of absorption. This paste binds together any dirt and debris as well as excessive oil, acting like an ink blotter to cleanse it away without stripping the skin or hair of its protective natural layer. 100% Natural face and body mask. Ready for use. Renews and smoothes skin leaving it refreshed and luminous thanks to the life-giving forces of the clay.